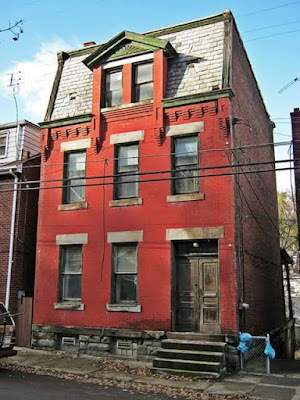 On the city of Pittsburgh demolition list are two historic homes in the Spring Garden neighborhood (North Side). The listed properties are 1214 and 1219 Voskamp Street. There may still be some time to save these houses from demolition. 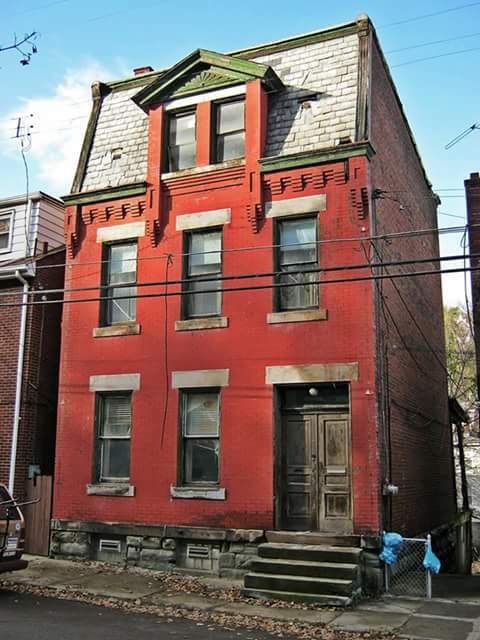 They represent important urban vernacular, and their preservation is essential to the historic character of Pittsburgh's working class neighborhoods. Spring Garden is one of the oldest surviving neighborhoods in Pittsburgh, but also one of the more distressed. There are many vacant and deteriorating homes in the district. Homes end up on the demolition list simply because of absentee building owners, unpaid taxes, and neglect. Some of these houses are not beyond repair. 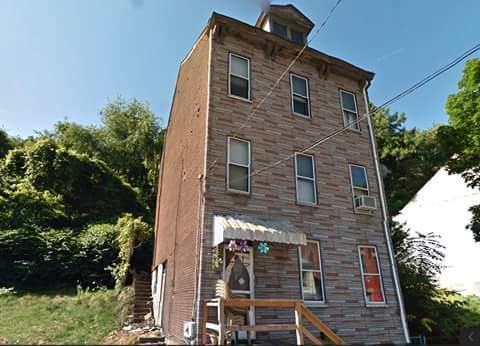 If you are interested in saving one of these houses, please contact the city and persuade them to delay demolition while you attempt to contact the building's owner and purchase the property. If the property's owner cannot be located, you can try to arrange to buy the property with help from the city. I blogged about the house at 1214 Voskamp Street first in 2012. Conditions were bad then, and the house was in a state of neglect. Sadly, no one stepped forward to purchase or renovate the house, and the owner continued to let the property decline. The taxes have been paid on the house, and hopefully a potential buyer could still contact and negotiate to buy the property from the owner. One should assess the property's condition and viability of restoration before purchasing, however.